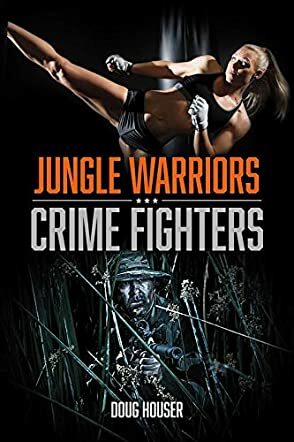 Jungle Warriors Crime Fighters by Doug Houser is an action-packed, fast-paced novel with an irresistible appeal to fans of sleuthing and investigation, a narrative filled with daring and adventure. KC has successfully established an executive security company and, always feeling that he needs to do more, he creates a special unit to fight and bring down evasive criminals. The team will face very complicated and dangerous challenges, using skills acquired in the harsh conditions of Vietnam to provide the help that many victims need. When he hires a non-infantry marine to train his team in martial arts, it is one of the boldest things he’s had to do. But is this the right decision or is Nellie someone different from what he thinks she is? Doug Houser has crafted a novel that will satisfy readers at different levels. It is a shock-studded chiller with pulsating action and a narrative that doesn’t disappoint thematically. While readers will enjoy the author’s focus on crafting an enjoyable story, they will appreciate the careful handling of the theme of teamwork and loyalty. The quirkiness in the dialogues fuels the humor and keeps the story interesting, allowing the characters to shine through the narrative. Jungle Warriors Crime Fighters displays the author’s sense of word economy. Every sentence is carefully thought out and measured and the author doesn’t use words without considering their hidden import. The tight writing has a music of its own, the scenes are well written and there is no confusion when it comes to points of view. Here is an adventure to take on, a tale filled with realism and characters that linger in the reader’s mind.